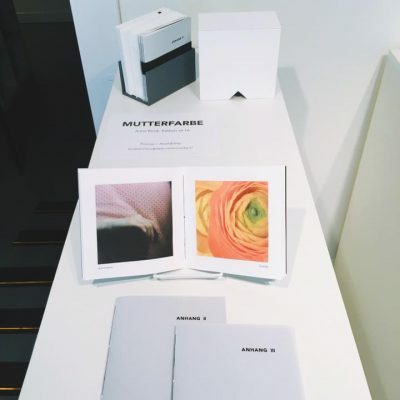 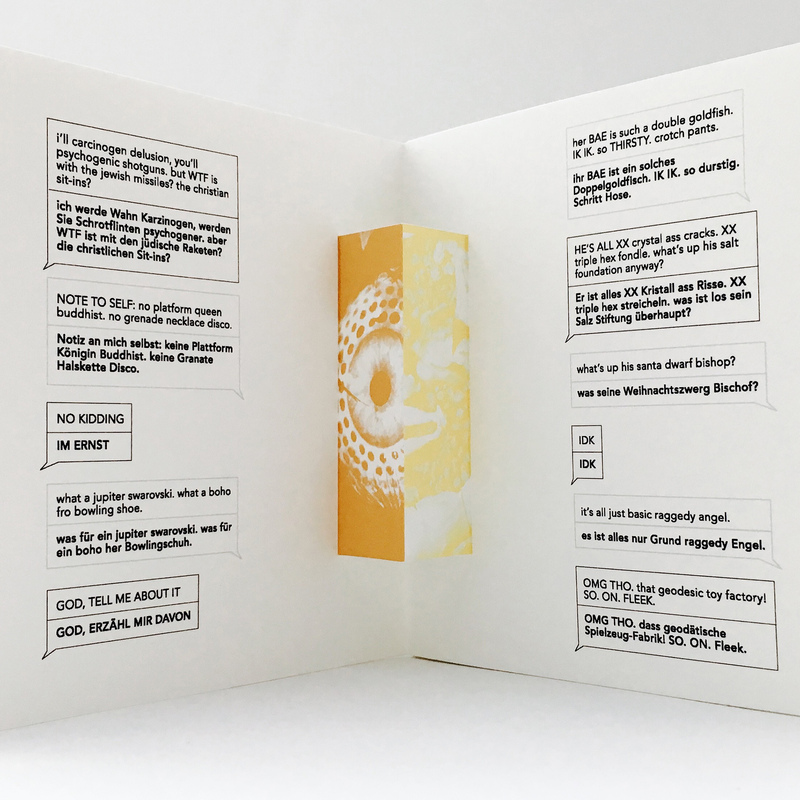 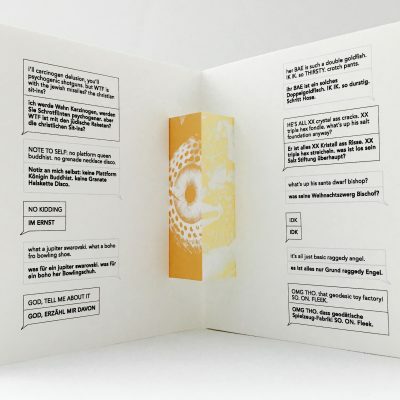 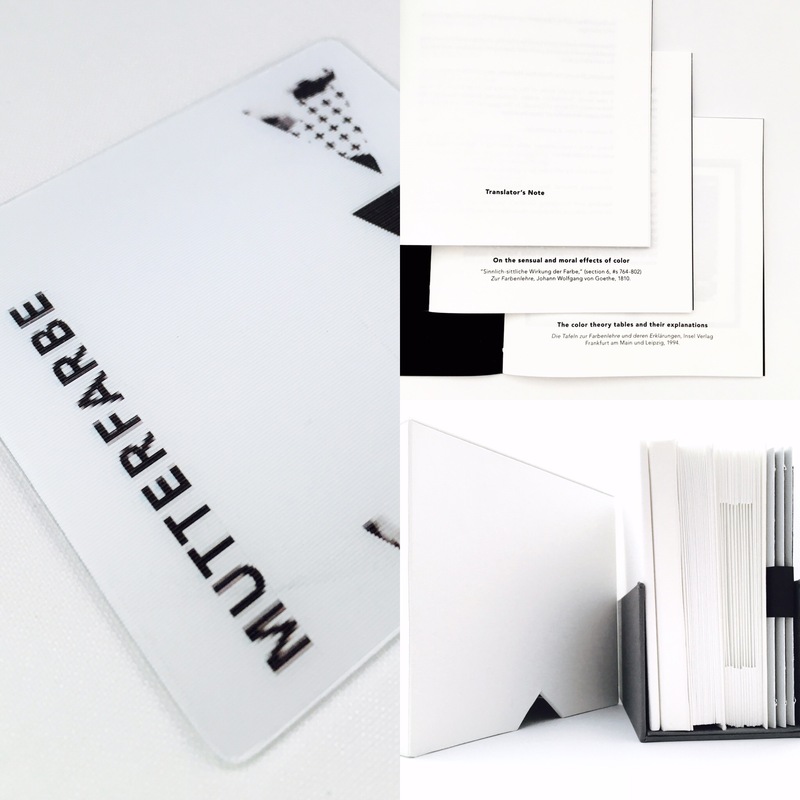 Mutterfarbe is a limited edition artist book collaboration by poet + translator + visual artist Brandi Katherine Herrera & book artist + designer Erin Mickelson. 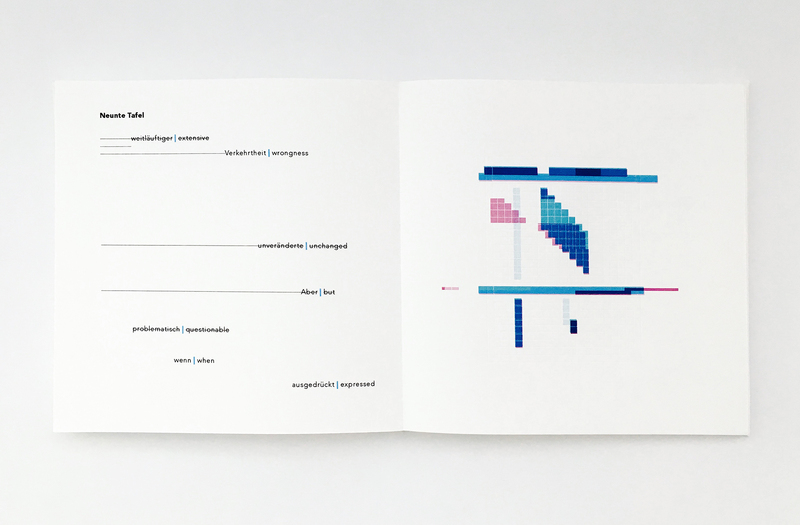 The book is comprised of experimental text + visual translations and poems. Using Johann Wolfgang von Goethe’s seminal work, Zur Farbenlehre (Theory of Colors, 1810) as a primary source, Herrera translated sections of the text from German to English during a residency at the Château de Monthelon (Burgundy, France) for the first time since Charles Eastlake’s 1840 edition. 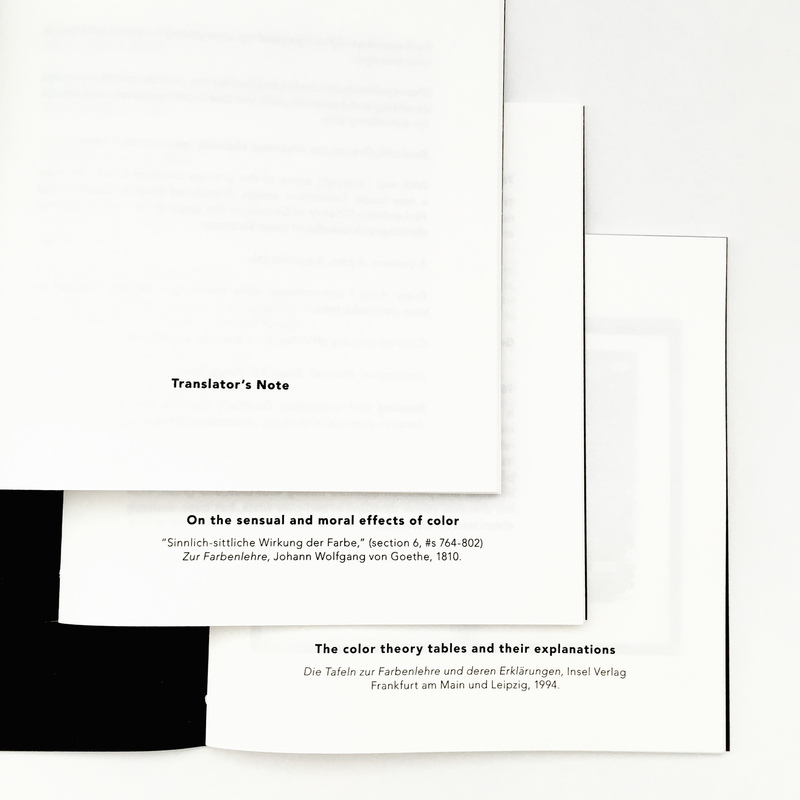 Here, the language of color is transformed in order to provide fresh perspective on an archaic text, and allow Goethe’s words to reimagine themselves within a more contemporary conversation. 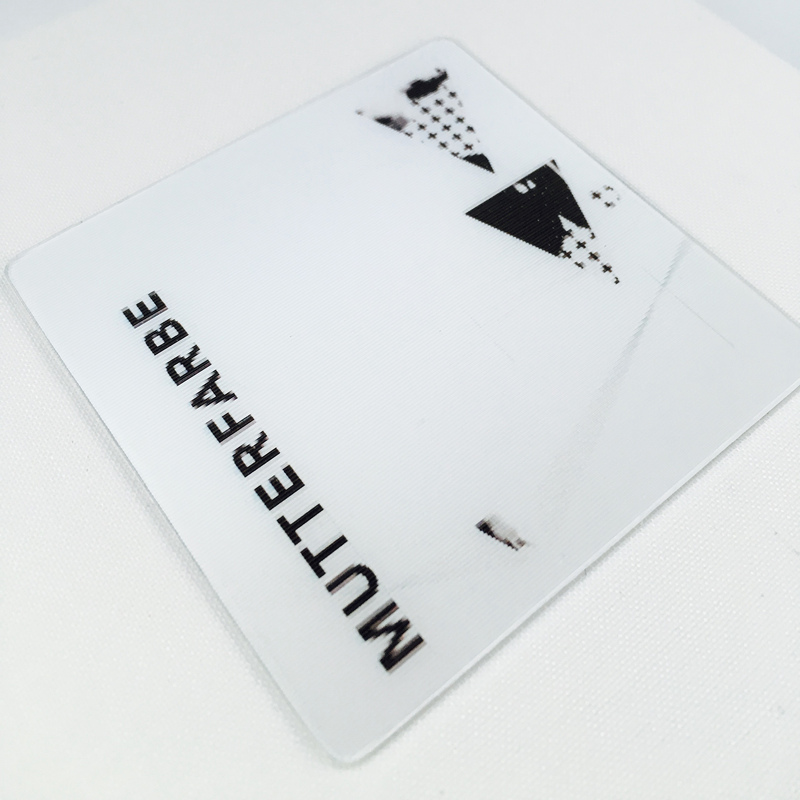 Mutterfarbe was published by Broken Cloud Press (Santa Fe, NM), the imprint of book artist Erin Mickelson. 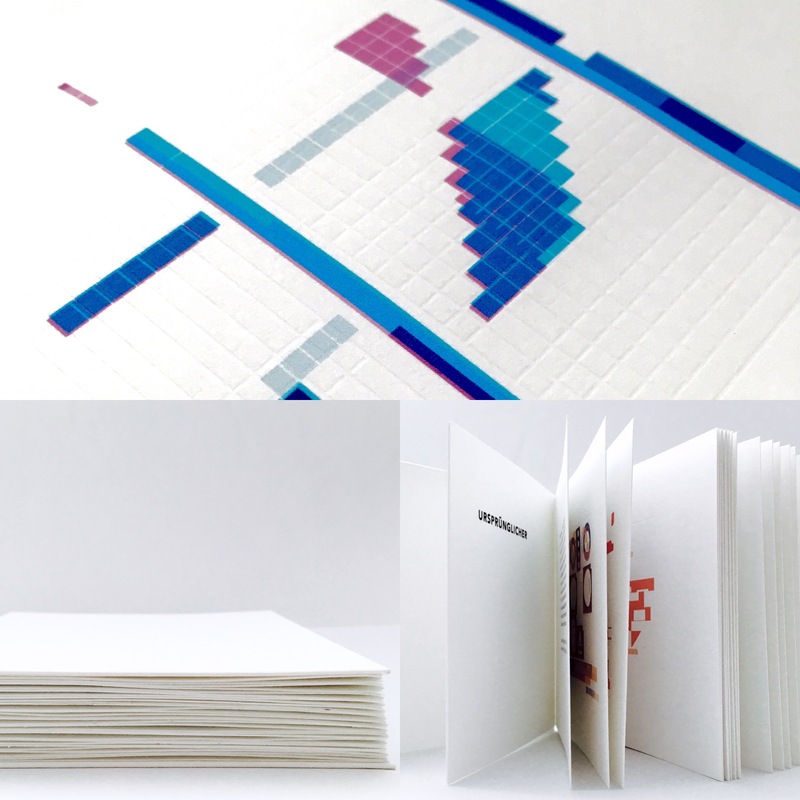 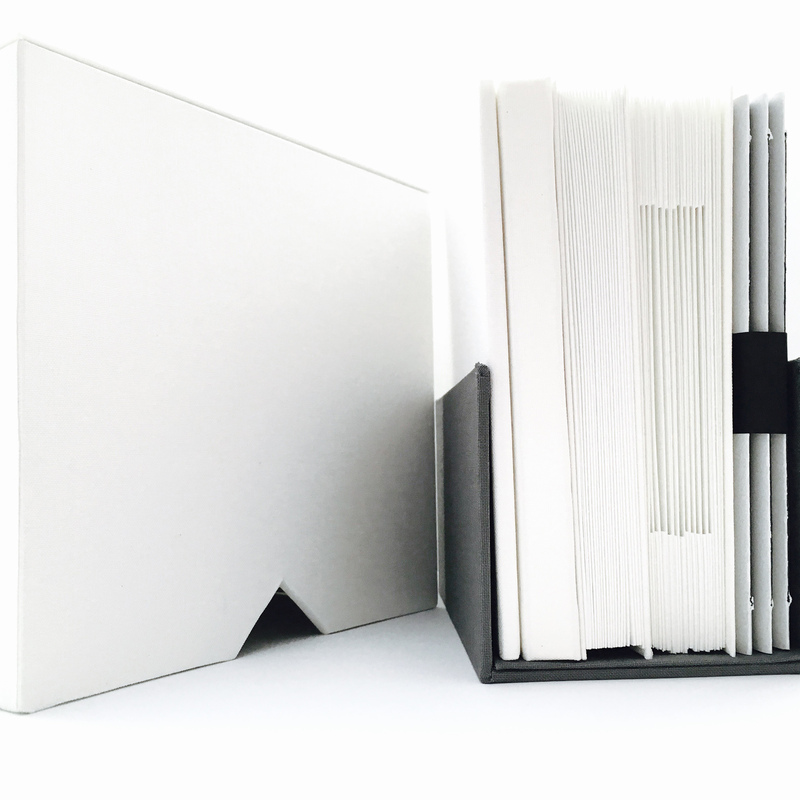 Each of the 16 books in the ltd. edition is comprised of separately bound sections (measuring approximately 5.5 x 5.5 inches each) enclosed in an archival box (dimensions, closed: 6 x 6 x 3.25 inches). 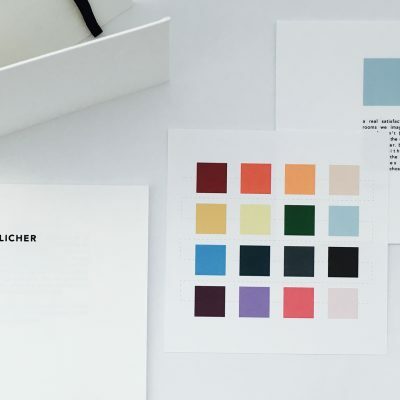 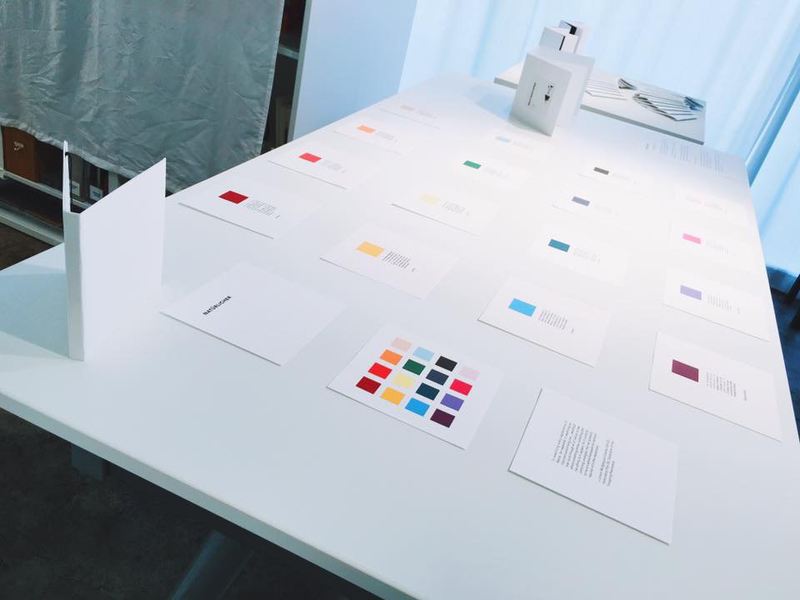 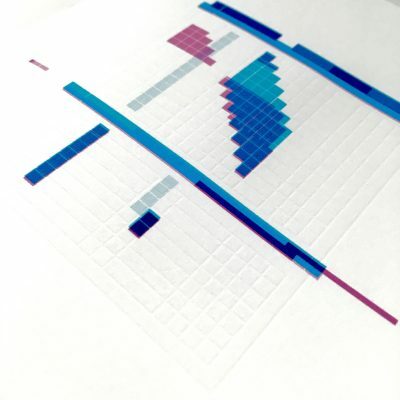 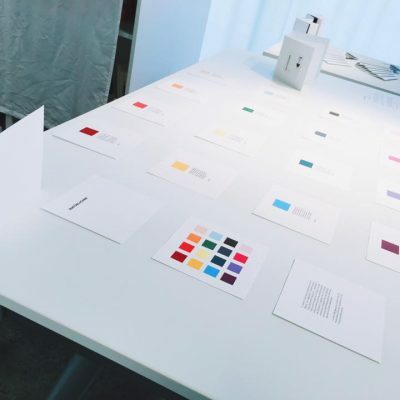 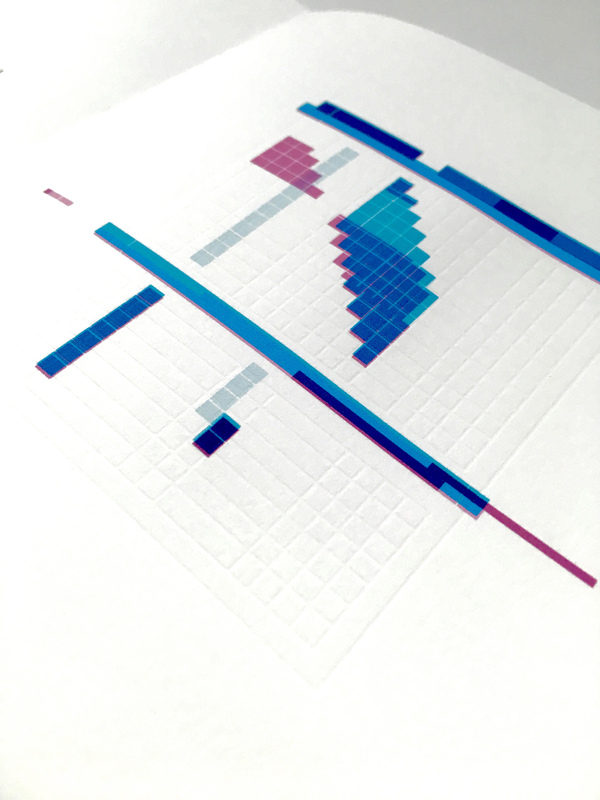 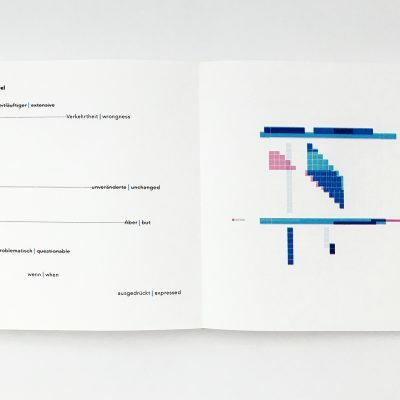 • Section I—Natürlicher (vis-à-vis land, animal)—is comprised of color swatches (sourced from colors encountered in Herrera’s environment as she worked on her manuscript) and accompanying poems printed on loose pages held together in a folio. 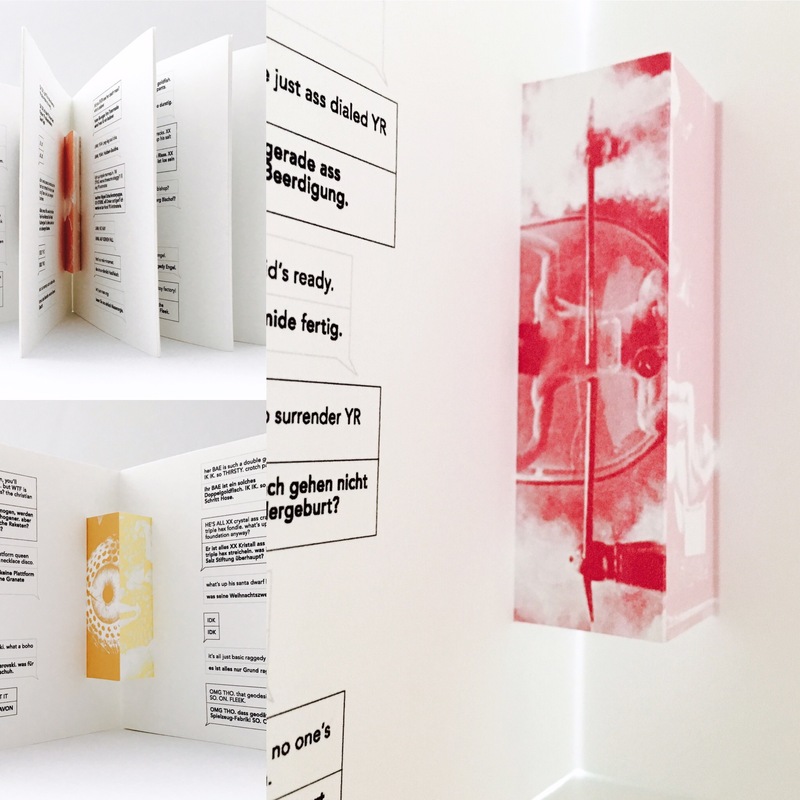 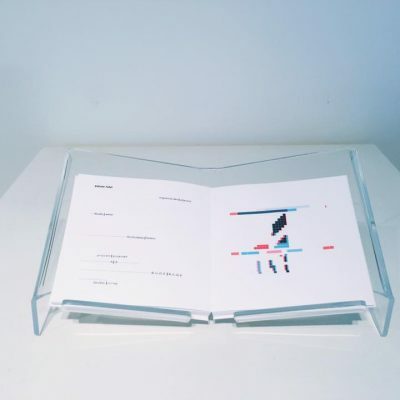 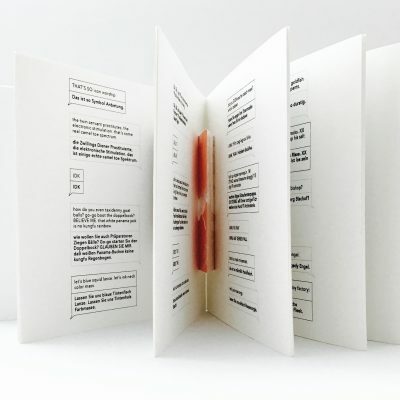 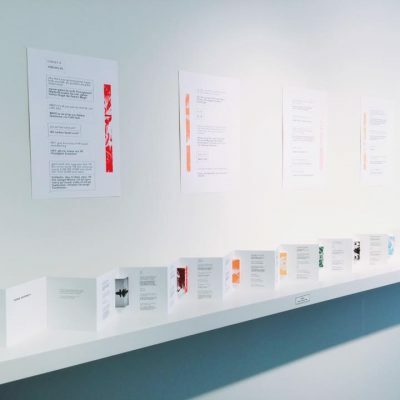 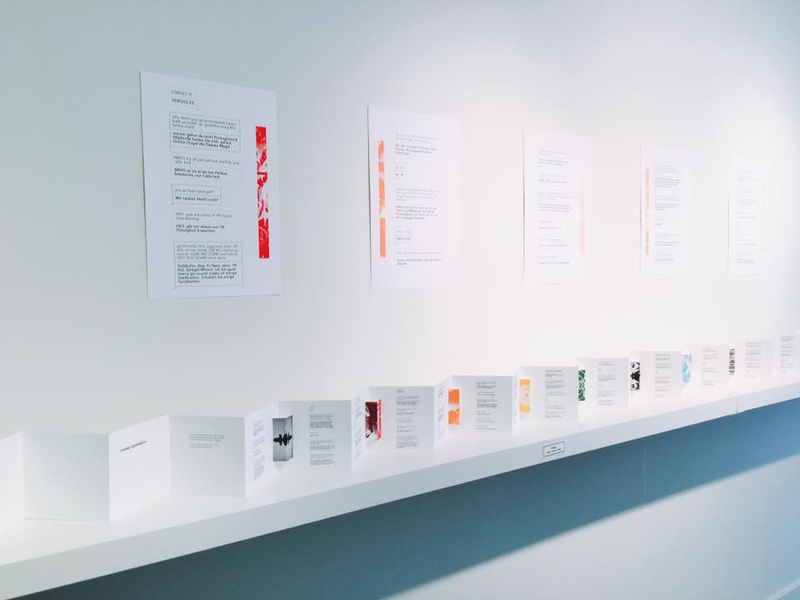 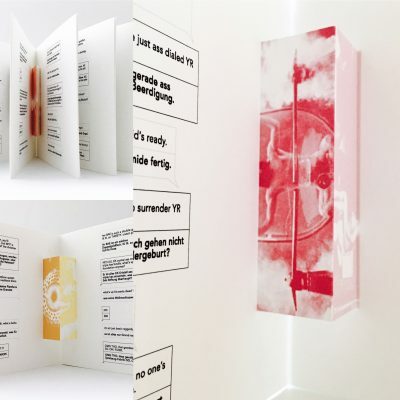 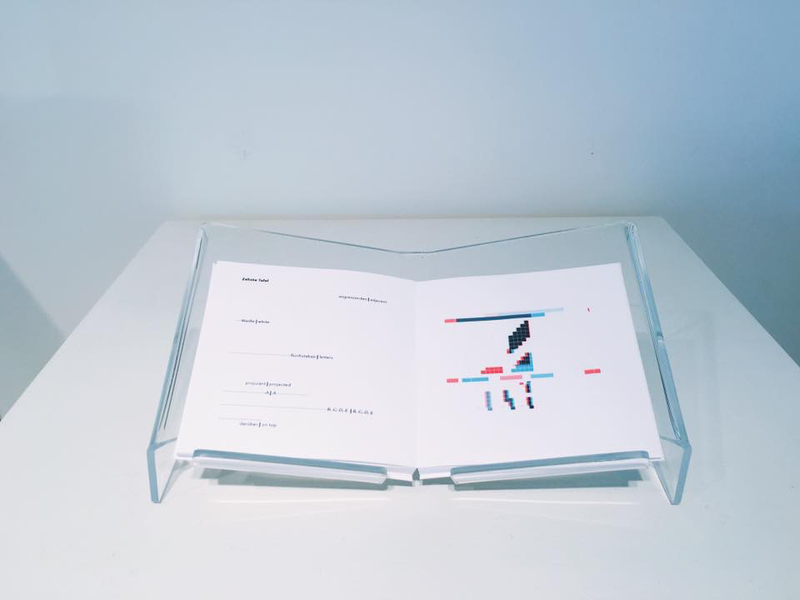 • Section II—Ursprünglicher (origins, experiments)—is comprised of erasure poems by Brandi Katherine Herrera & “visual translations” of Goethe’s original illustrations by Erin Mickelson and includes drum leaf binding, glitch art, and blind impressions. 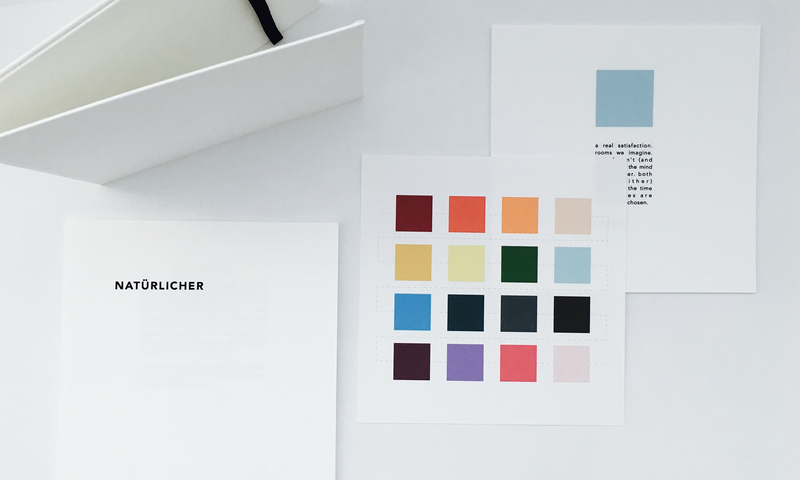 • Section III—Farbe Gespräch (speaking of color)—is Herrera’s imagined text convo with Johann Wolfgang von Goethe using contemporary language & technology, while watching Jodorowsky’s iconic surrealist film The Holy Mountain and discussing the use of color therein. 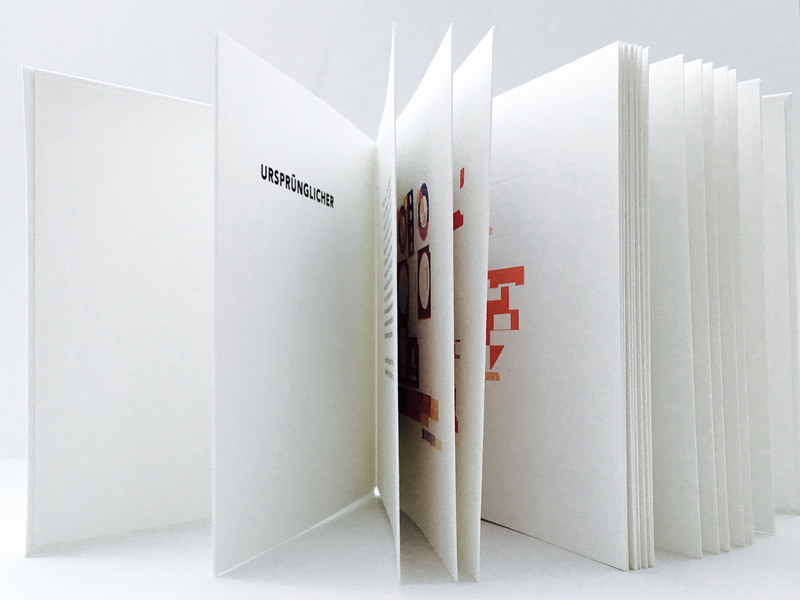 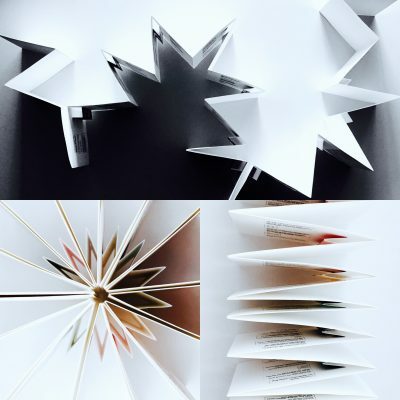 This section includes leporello binding and pop-up elements. 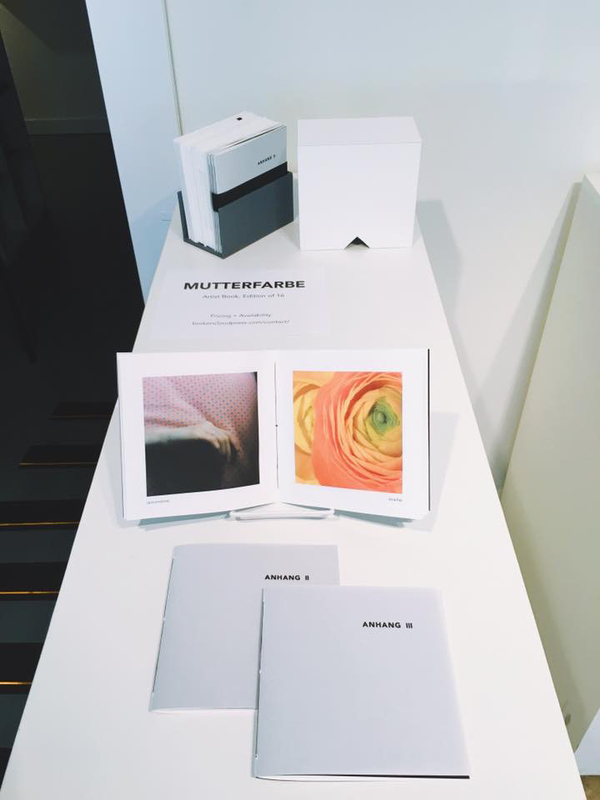 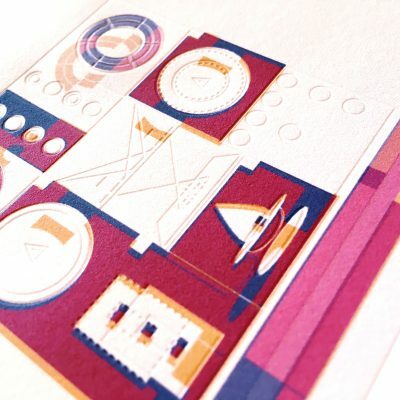 • Front matter includes a lenticular print; each print is unique to that copy of the edition of 16. 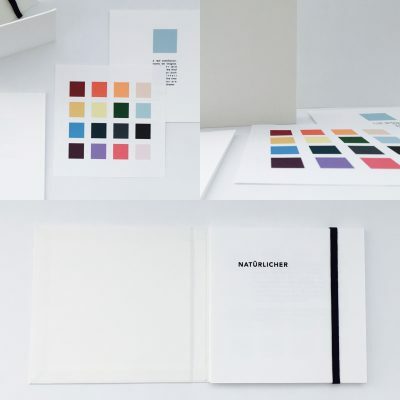 • Back matter (including translator’s note & color source photos, scans of the original erasures, and the translation) is bound in three pamphlet stitched books. 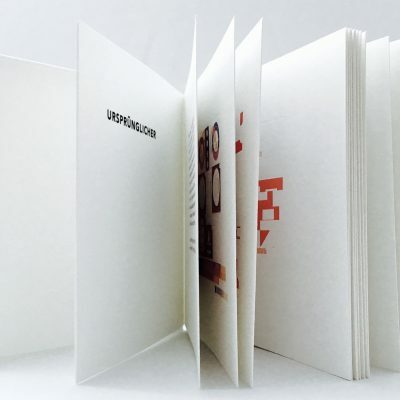 Archival pigment printing and blind impressions (letterpress) are used throughout. The same sixteen colors that appear in the first section of the book are carried throughout all three sections to maintain visual continuity and create a narrative arc through color. 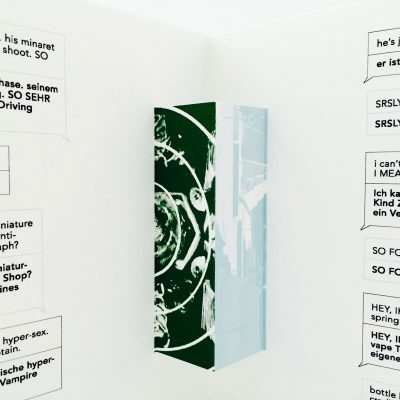 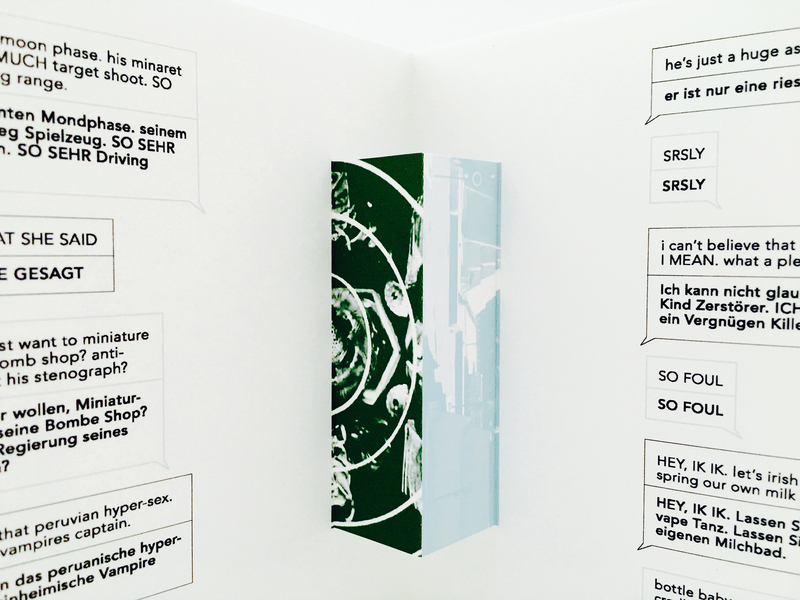 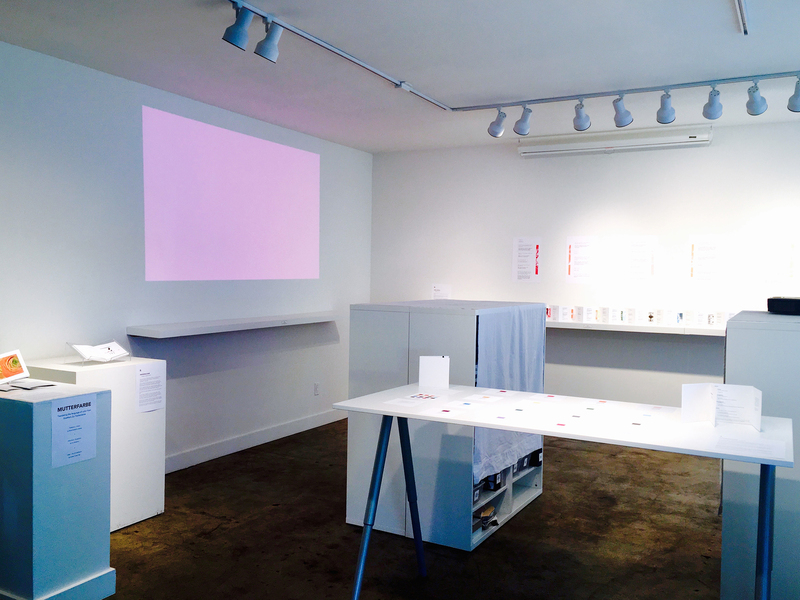 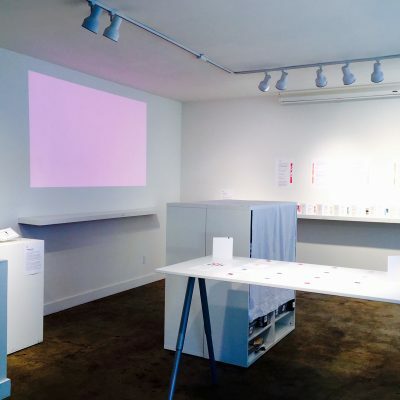 This project debuted in September 2016 as an installation at 23 Sandy Gallery, which included not only the book, but also sound and video installations by artists Andrew Foster Glei and Brandi Katherine Herrera. 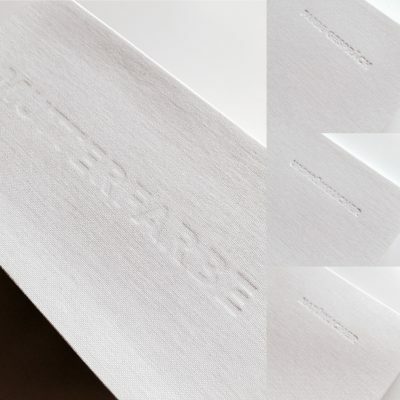 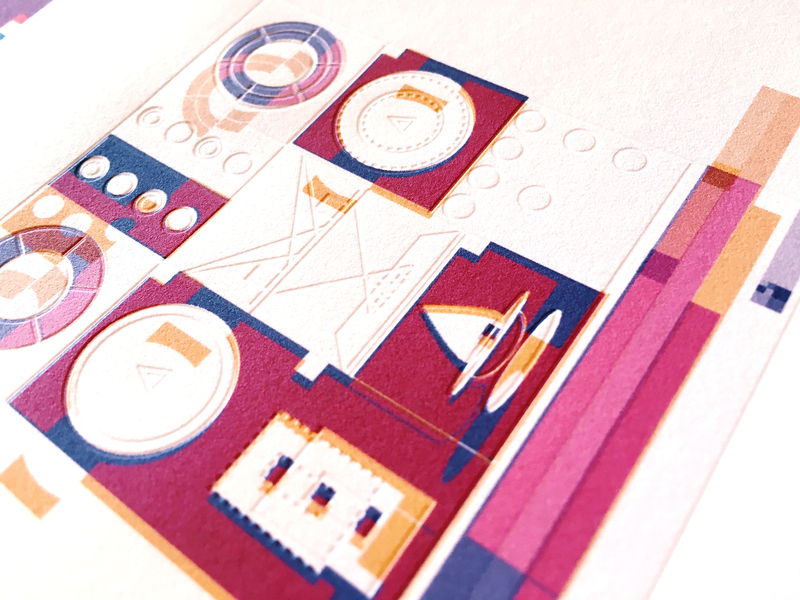 Parts of Mutterfarbe have been featured in Poor Claudia, The Common, and Womenspeak PDX.